What Is Involved in a Tracheotomy Procedure? The intubation of an artificial breathing tube is usually a short-term situation. A tracheotomy is often performed after an injury to the larynx or trachea is sustained. A tracheotomy procedure involves make an incision just below the Adam's apple. A tracheotomy procedure involves the introduction of an artificial hole in the throat to restore one’s ability to breathe when one's airway is obstructed. How a tracheotomy is performed is determined by individual circumstances, whether it be an emergency or planned procedure. 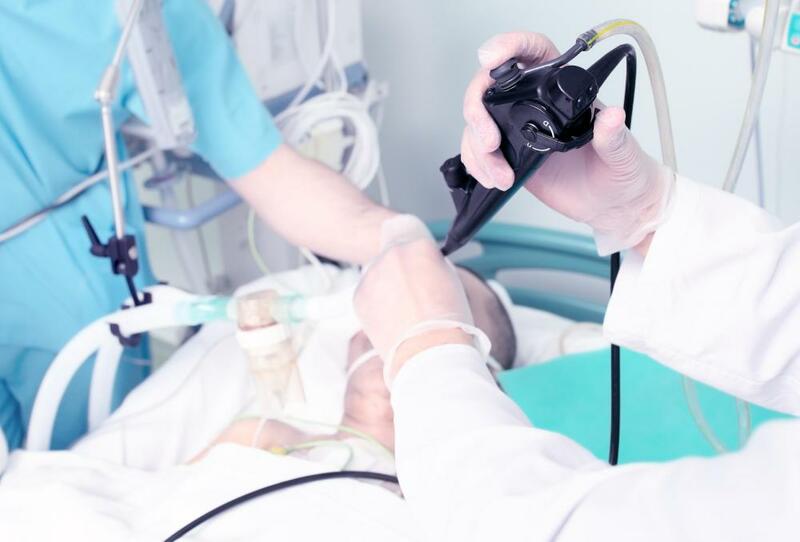 The intubation of an artificial breathing tube is usually a short-term situation, but may be used over the long term if one’s condition warrants. As with any invasive procedure, a tracheotomy carries some risk for complication, including infection, scarring and excessive bleeding. In most cases, an emergency tracheotomy procedure is performed in the immediate wake of significant injury to the head, neck or upper torso. When someone’s ability to breathe is impaired, a secondary hole must be created to allow air flow and respiration. If performed outside a medical setting, an emergency tracheotomy is known as a cricothyroidotomy. A cricothyroidotomy involves piercing a hole through the trachea, or throat, into the larynx. After a tube is inserted into the hole, the opposite end is fastened to a bag that supplies oxygen. Once the individual is transported to a hospital or comparable medical setting, and he or she is stable, a tracheotomy may be performed. When performed in a hospital setting, a tracheotomy procedure involves the use of a general anesthetic. An incision is made just below the Adam’s apple that glances the thyroid and penetrates the trachea, or windpipe. After creating a small hole, a tracheostomy, or trach, tube is positioned in the hole. Sutures may be used to tighten the tissue around the trach tube and prevent foreign matter from entering the hole. To keep the trach tube from shifting or being displaced, a small plate or guard is positioned around the exposed end of the tube and secured by a nylon or elastic strap. Planned tracheotomy procedures are generally performed when a medical condition contributes to airway obstruction. Chronic conditions, such as throat cancer and paralysis, can necessitate a tracheotomy. Tracheal narrowing and impaired muscle function within the throat are among the most common contributory factors for airway obstruction. It is not uncommon for a tracheotomy to also be used to aid recovery following neck surgery. Individuals preparing for a planned tracheotomy procedure are usually given pre- and post-operational instructions. As with any medical procedure that involves the use of anesthetic, eating or drinking within 12 hours of a tracheotomy is discouraged. The use of any medications that may contribute to complications, such as blood thinners, may be temporarily discontinued prior to surgery. Whether a trach tube is intubated over the short or long term, there is risk associated with its placement. A tracheotomy procedure can be complicated by infection and excessive bleeding. It is possible for air to enter the chest cavity during trach tube placement, which can further hinder respiration. Long-term risks include tracheal narrowing, inflammation and pain at the intubation site. What Is the Difference between a Tracheostomy and Intubation? 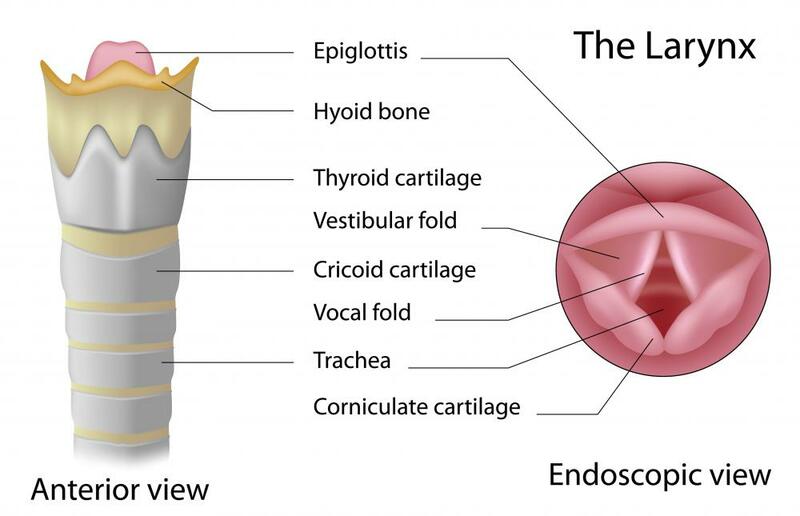 What is the Cricoid Cartilage? @pastanaga - I don't know how often in the modern world a person is going to come across a situation where this would be necessary anyway. And it makes me think of those people who end up with a permanent tracheotomy because they have cancer of the mouth or something similar and need a tube in order to breathe. @Iluviaporos - Even in cases where it is necessary, no medical procedure should be performed by people who don't know what they're doing, unless the person is definitely going to die without their help. One slip of the knife and you could easily sever an important artery. And the average person wouldn't even know what part of the neck to pierce. Everyone should have some emergency training. But for the most part that will consist of being told to get help as soon as possible rather than taking matters into your own hands. My sister used to volunteer with an ambulance service and she once told me that these are almost never necessary. They do them all the time on TV because they look dramatic, but still like something that could conceivably be done well outside of a hospital setting. But she has actually heard of people trying to do this operation on folk who are choking or having trouble with their lungs (like asthma) and a tracheotomy wouldn't help at all with either of those things. It's only useful in cases where someone has blocked their airway (perhaps because their throat has swelled shut) but their lungs are still working. Otherwise you're better off performing the Heimlich maneuver, or administering medication or even performing CPR than cutting open their throat.